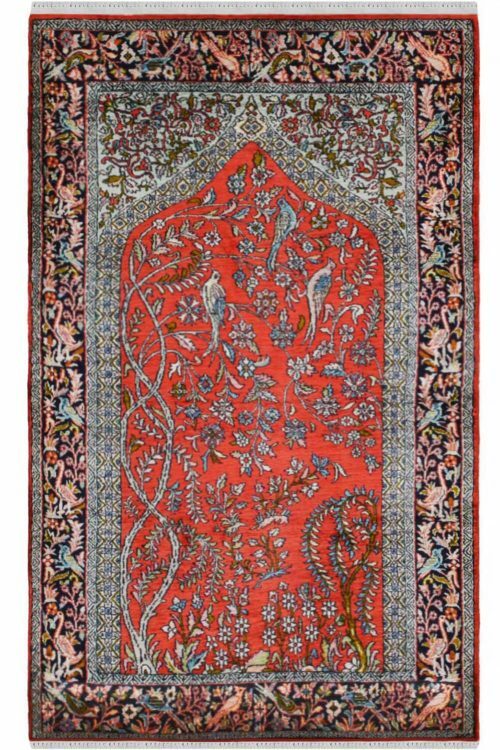 The most beautiful carpet in a unique color combination. 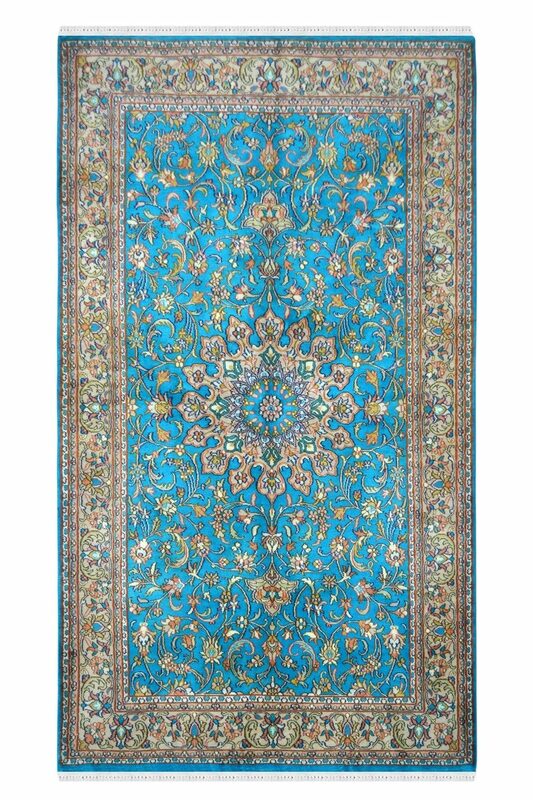 This carpet is woven in silk on cotton and it has approx. 324knots per square. 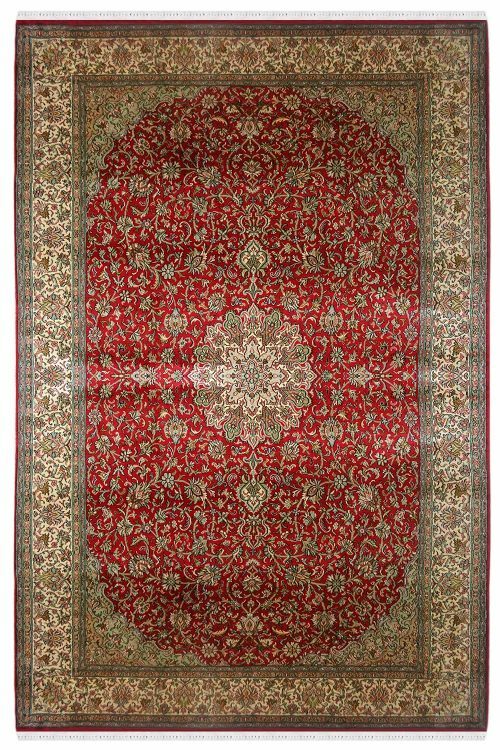 Buy this carpet at best carpet from Yak Carpet. 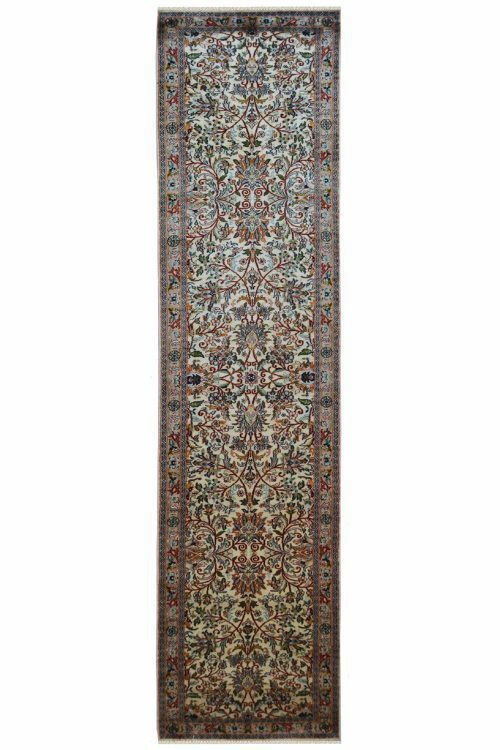 Enhance the beauty of your space by placing this ever so gorgeous hand knotted silk carpet in a perfect color combination. Perfect fit for space with subtle interiors. 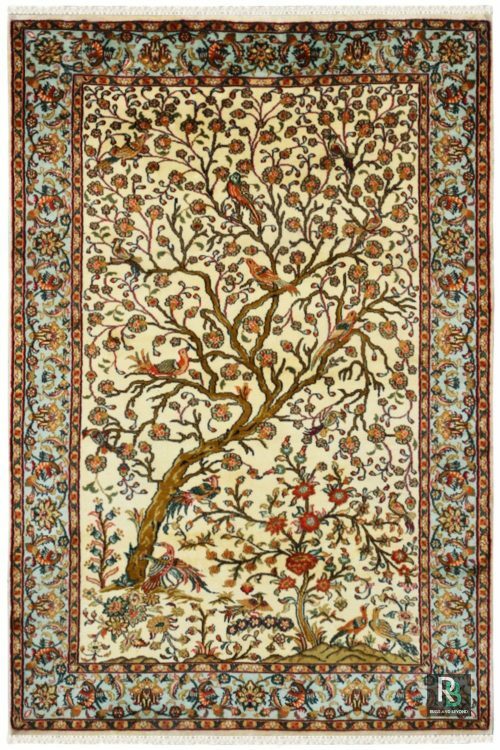 This is handcrafted by our skilled weavers and involves detailed craftsmanship. It has taken about five to six months to weave.